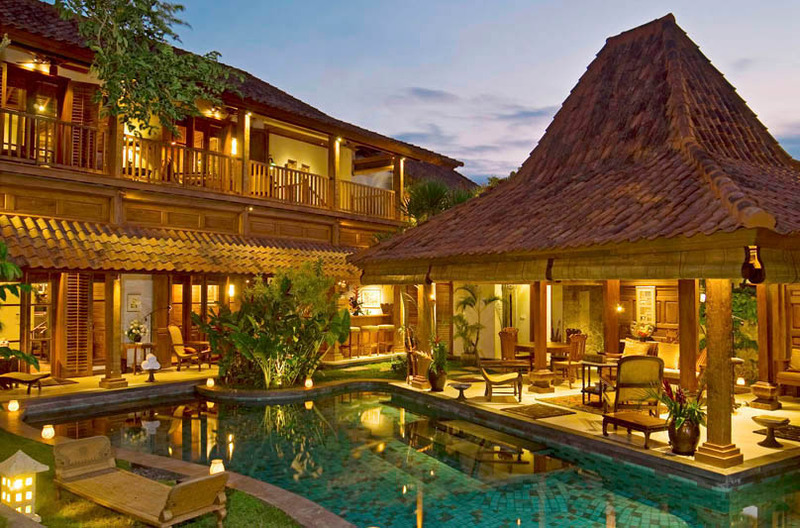 The villa Sarasvati is a spacious house offering numerous conveniences. 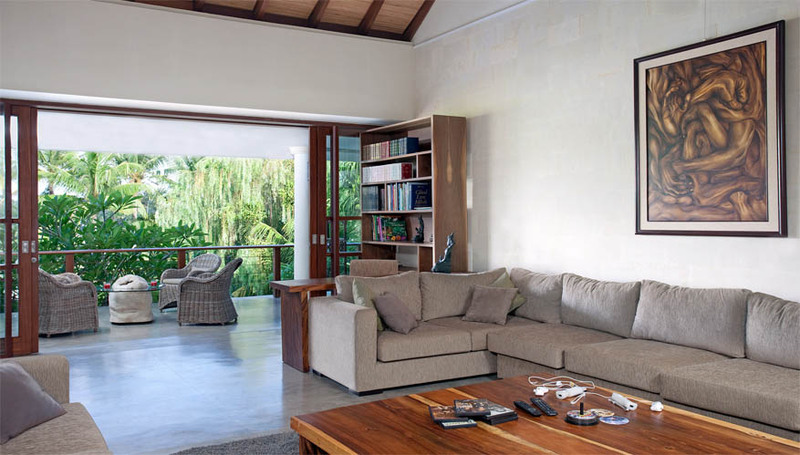 This renting is ideal to accommodate a family or a group of friends. 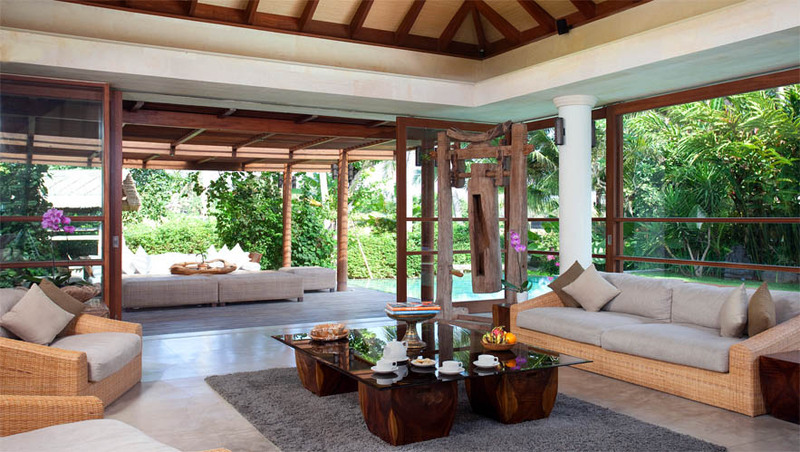 This property is part of the â��Dea villasâ�� complex and thus, enjoys many advantages about services. 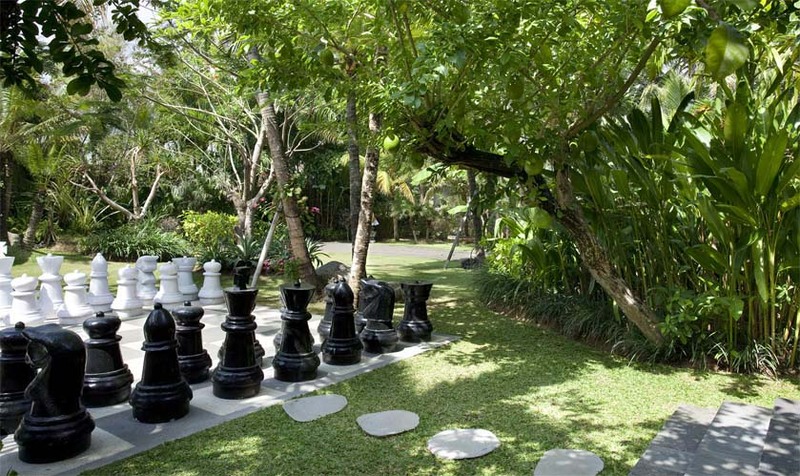 It is also equipped of with a petanque and a giant chess in the garden. 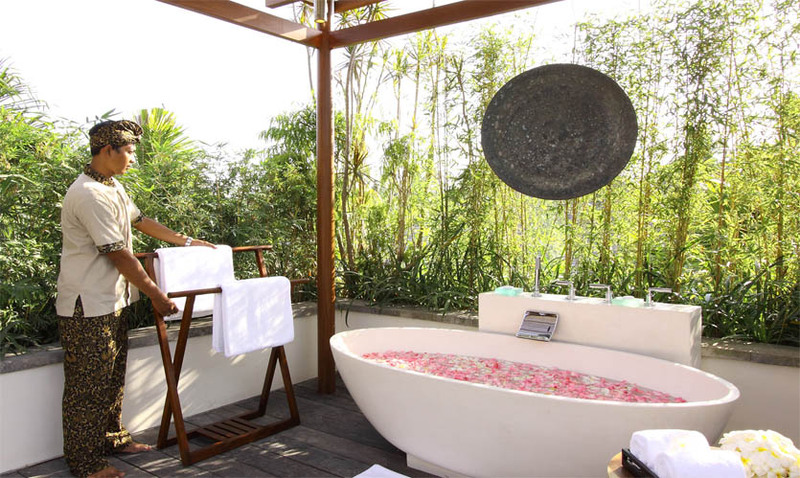 So, it will bring luxury and intimacy during your stay. 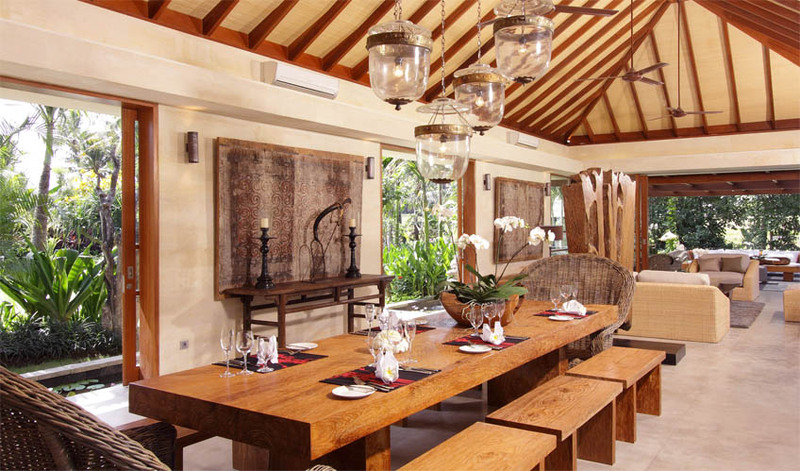 Providing 4 bedrooms, this villa in Bali could accommodate up to 8 persons. 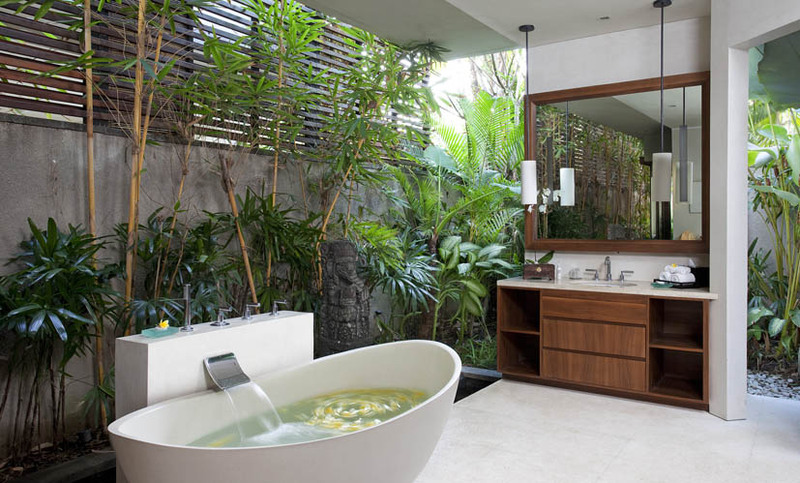 Each of them has their own bathroom as well as all the modern conveniences. A media room is available at the first floor. 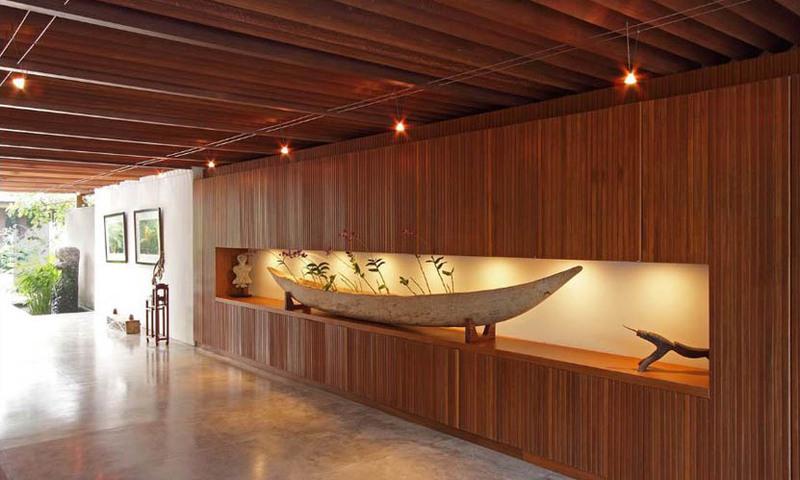 The living-dining room shapes the main area of the dwelling. 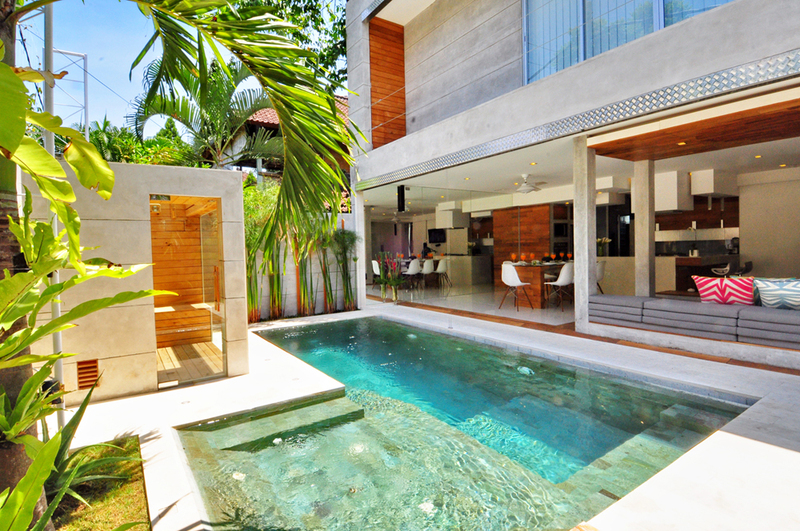 Open-sided, this space overlooks the garden and the 20 meters long swimming pool. 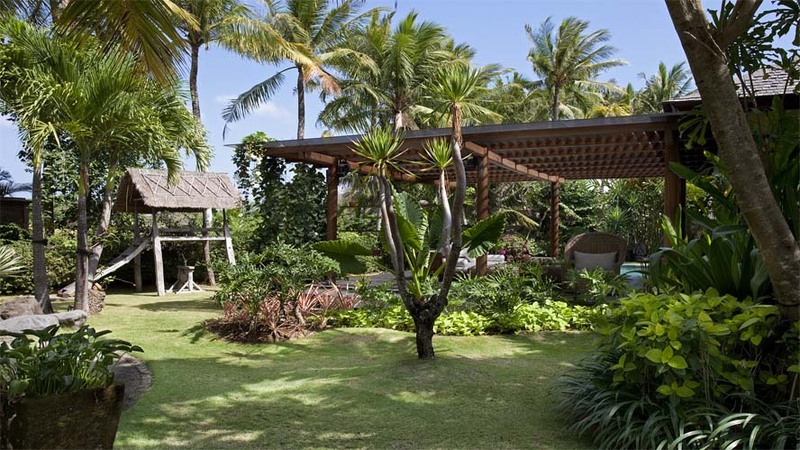 Regarding the lawn, it is a spacious place decorated in a tropical style. 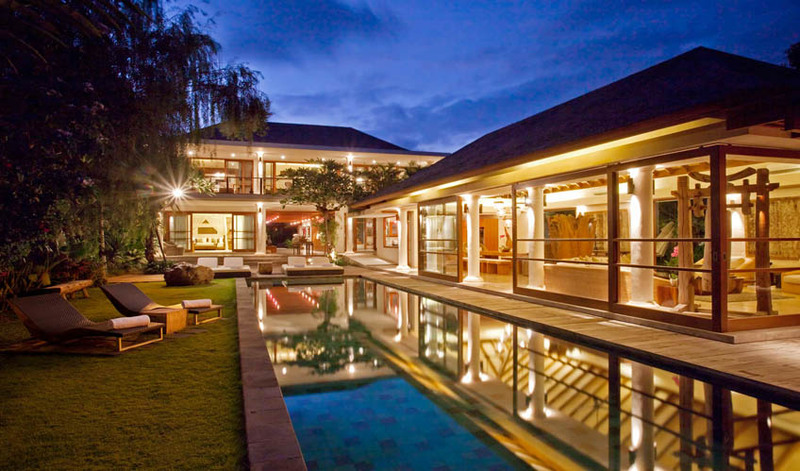 This villa for rent in Bali puts at your disposal a house staff. By belonging to a complex, the staff is complete. This team, headed by a manger and supervisors, includes 29 members. You will also have access to a gym. 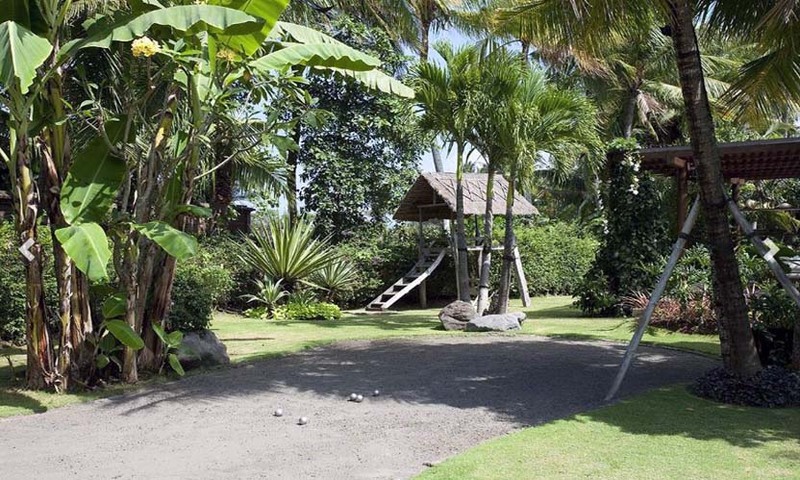 Likewise, you will be able to benefit from some activities proposed by the Canggu club (first Balinese country club). 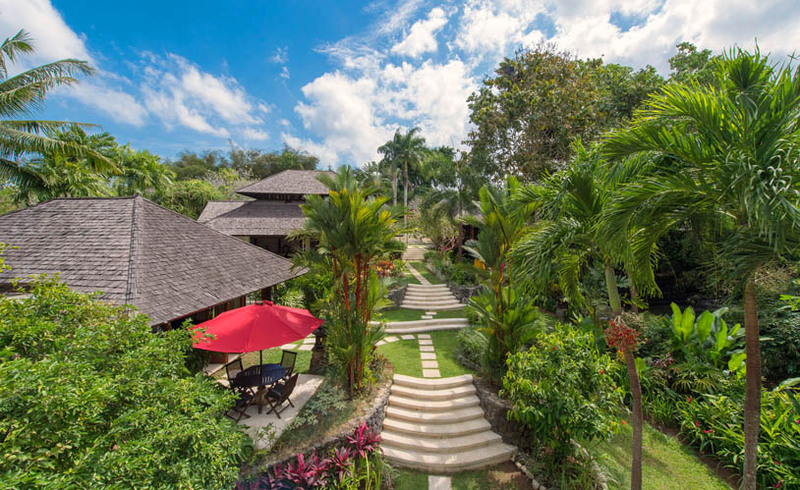 Furthermore Bali Je t'aime, a Bali villa rentals can organize activities, tours or even transport for a fantastic holiday you will always remember. 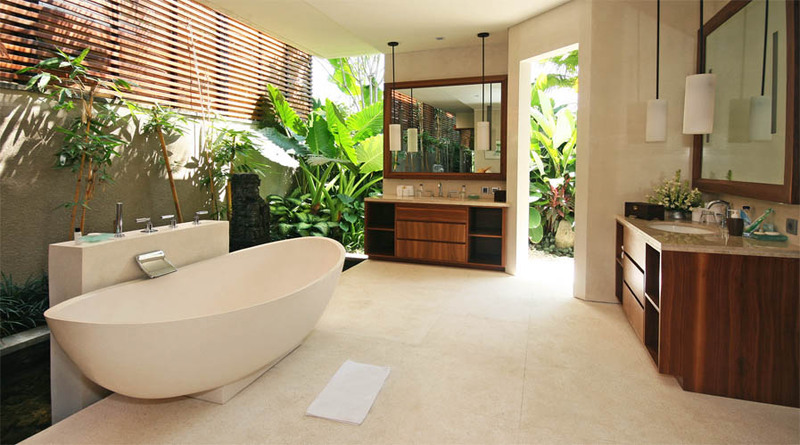 With us, to rent villas in Bali will be very easy. 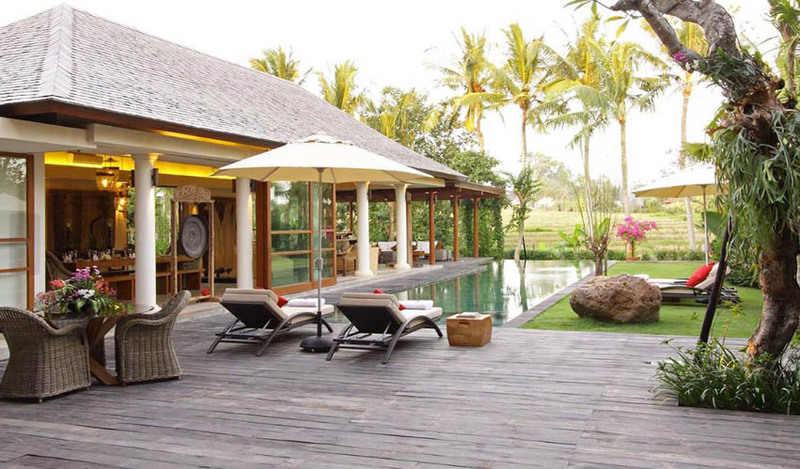 This villa is well placed in the Canggu district. 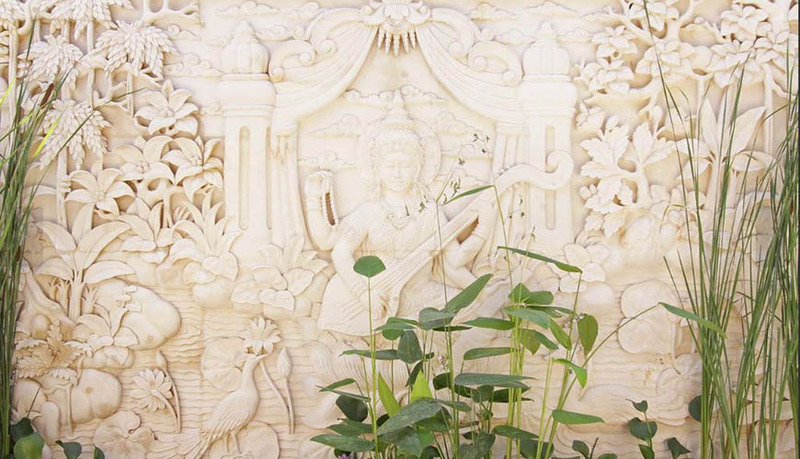 Thus, you will enjoy the inherent calm of this rural place. 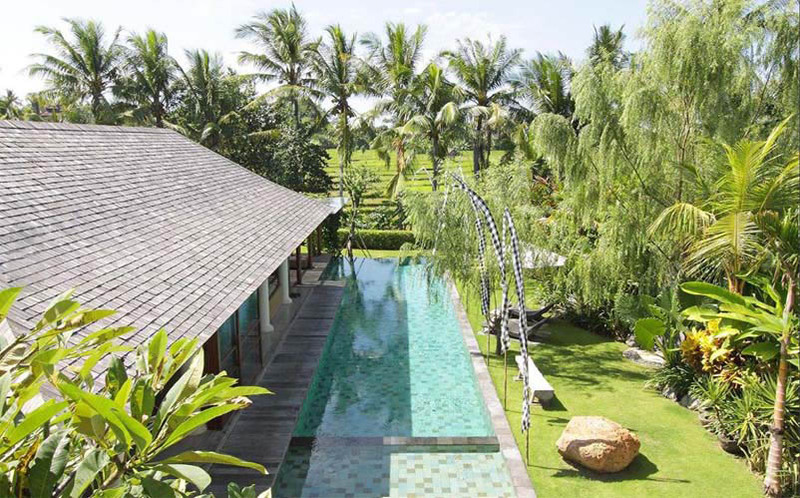 It is known for its stunning beaches and its rice fields. 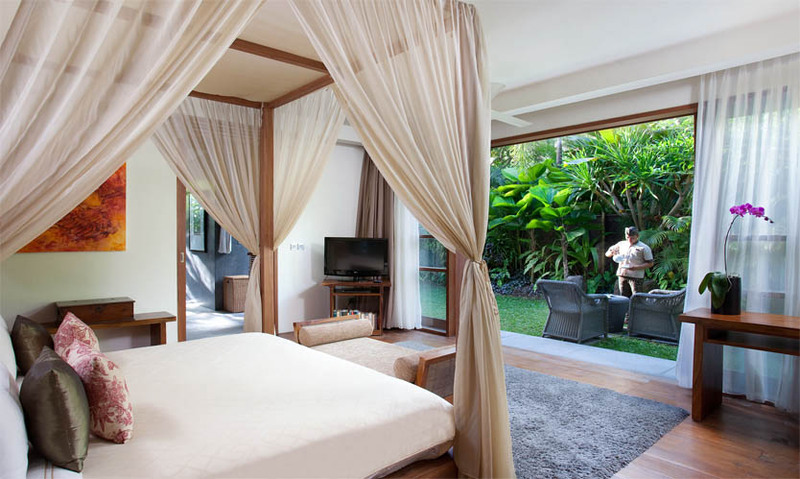 Moreover, it is easy to reach Seminyak and Kuta by car. Those ones are near and offer a lot of activities, bars, restaurants and shops. 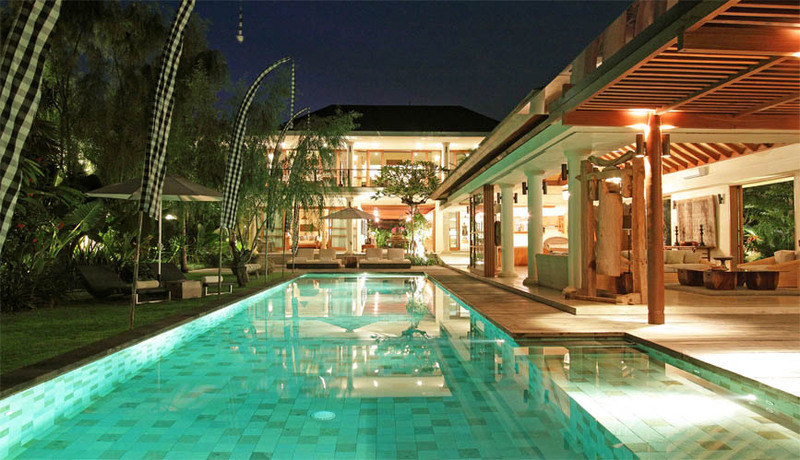 Thereby, the villa Sarasvati is a top-graded property. 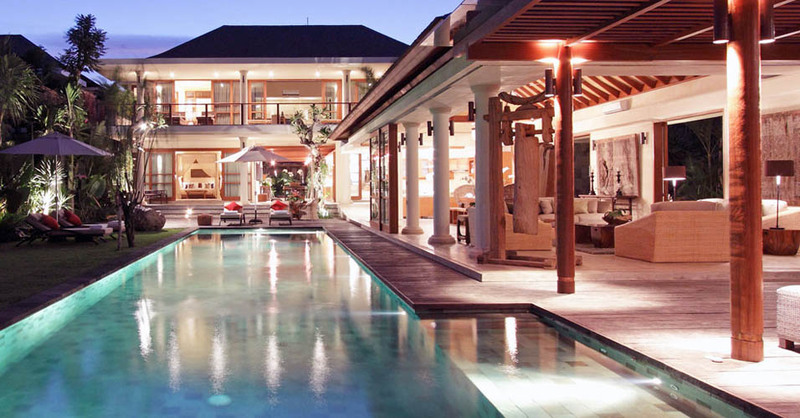 It will charm all your family or friends. 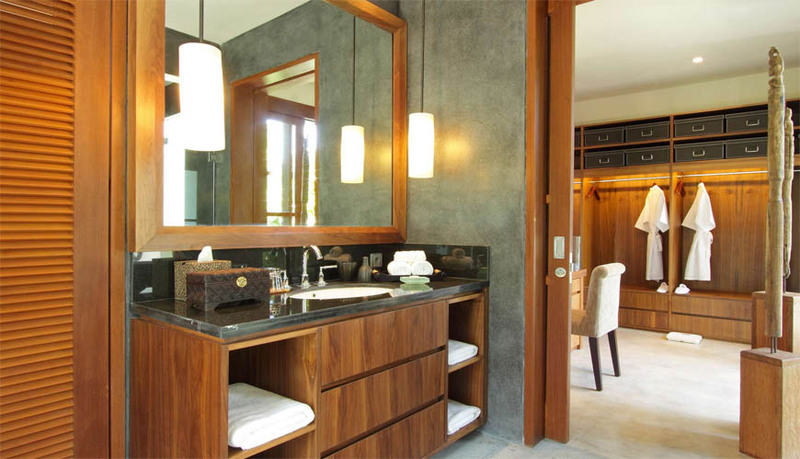 Providing advantages and unusual amenities, it will be the perfect dwelling to spend a relaxing stay. 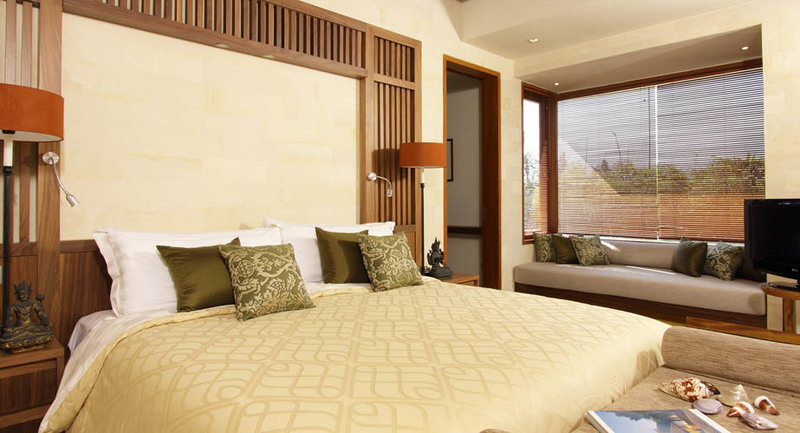 All is forecasted in order to maximise your comfort. 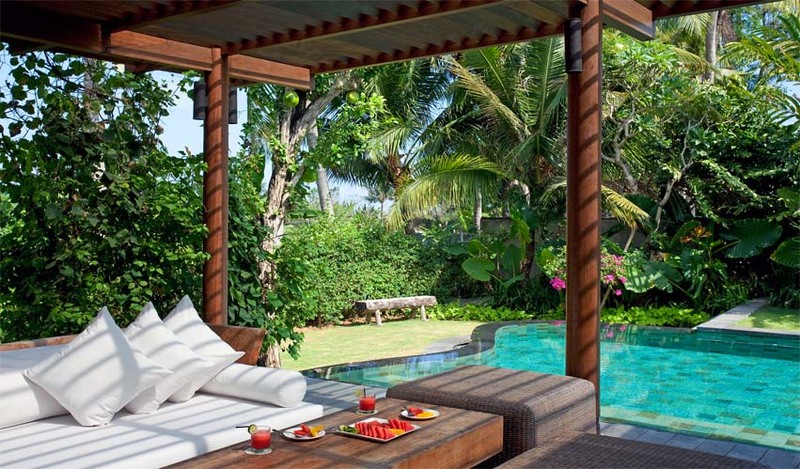 Likewise, it will ideal to discover the pleasures of the island of Gods and its so particular ambience.